This Largo is the third movement of Telemann's Quartet in D minor for recorder, two flutes and basso continuo. It is a slow siciliano in A minor, introduced by the first flute, which is answered by brief phrases from the other instruments. 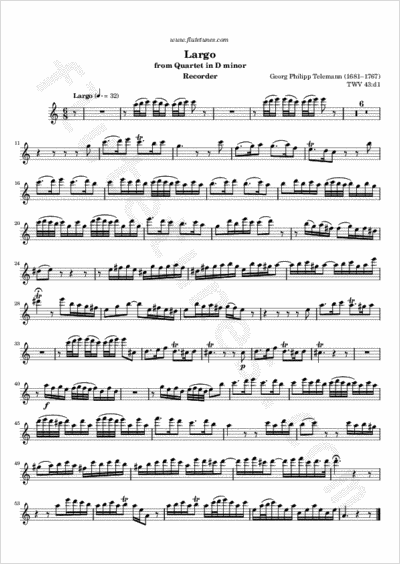 Before long all three melody instruments are playing together, although Telemann often sets the two flutes apart in their own passages, the solo instrument commenting during their pauses.